Other versions: PS3; XONE; X360; NS; WIIU; PC. It’s hardly surprising in a climate where major games are afforded multi-year development cycles and hefty budgets as-standard, that film tie-ins are struggling more and more to meet with critical approval. Constraints on development times and creative freedoms are an enduring stumbling block, but as it’s generally regarded that a big licence will sell regardless of quality, this situation is unlikely to change in the foreseeable future. However, the upside is that when a game does buck the trend, it’s a genuinely pleasant surprise. 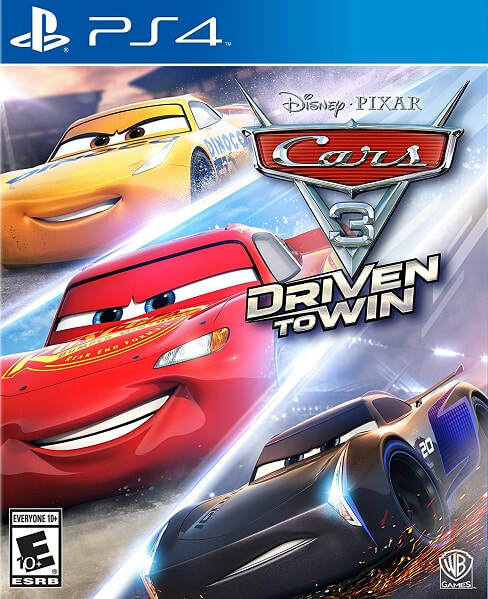 In this instance, Cars 3: Driven to Win is perhaps Disney’s finest game in more than a decade. Although really, if you’ve played either of its predecessors, to claim its quality a ‘surprise’ would be to majorly undersell the series. This isn't an overnight success. Cars 2, which rolled out alongside the film of the same name in 2011, was a gem in its own right. In fact, the only blot on its copybook was a relative lack of longevity. 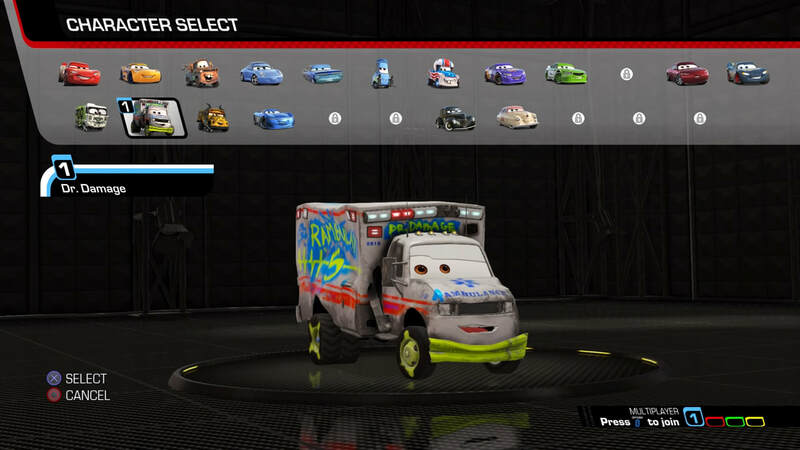 Cars 3: Driven to Win fixes this issue in emphatic fashion, and by tweaking and enhancing all the bits that made its predecessor such an attractive proposition, we can appreciate the culmination of a trilogy that has evolved to a level of excellence. A bright, breezy, party-themed kart racer that’s not dissimilar to Mario Kart 8, Cars 3 features a motley crew of personalities from the film, pitting them against one another across a broad range of competitive disciplines, including good old-fashioned races (with or without weapon power-ups), time trials, stunt displays, and takedown events that see the player amassing points via causing havoc with rockets and mines. The safest place is inside the Rambulance. Probably. Like the best kart racers, it’s deceptively simple to begin with, but tricky to master. Navigating the tracks is a breeze thanks to some lovely, balanced handling and a perfect drift mechanism that’s one of the finest of its kind. Whilst this will help the player in getting up to speed, the real knack to driving quickly is to make the most of the myriad ways in which to top up the turbo bar. Powersliding is one, as is using the right analogue stick to pitch the car up on two wheels, or (riskier still) to swing around 180 degrees and drive backwards. This fills the bar up in no time, but reverses the controls, so must be utilised with an element of caution. 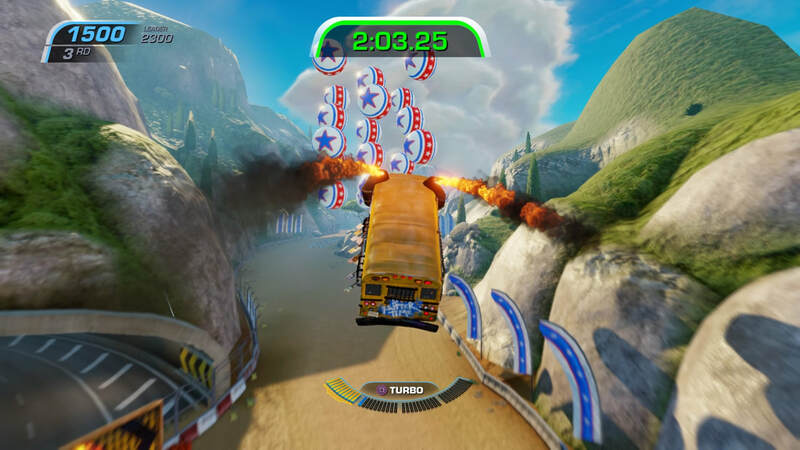 Alternatively, the player can make use of the uneven terrain, gaining airtime and performing a small range of tricks, an idea that works fantastically as the main focus of the stunt mode. Mastering, and then combining, all of the above facets takes quite a bit of practice, but makes for a fascinating and versatile experience; there are very few moments when you’re not engaged in some means of eeking out some more performance. 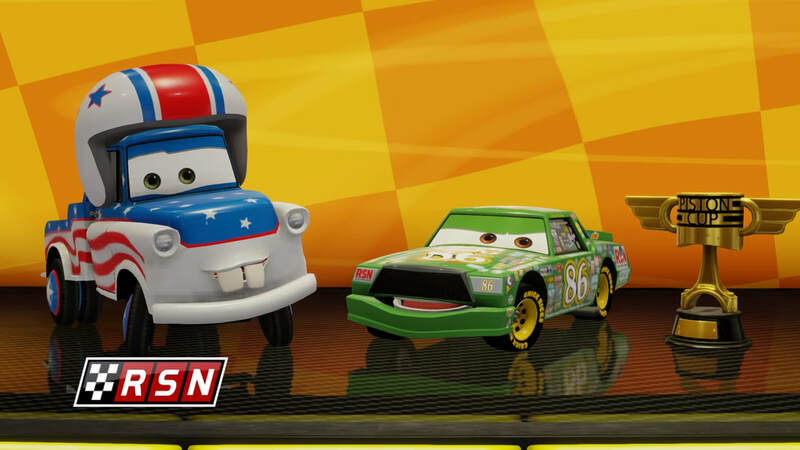 Cars 3 is a real hoot. It’s got bags of personality, from the slightly bonkers, catchphrase-filled character select screen to the wonderful range of vehicles on offer. Favourites include the hilariously macabre Dr. Damage, a graffiti-coated ‘Rambulance’, and Miss Fritter, a demonic school bus. As well as these ‘tank’ types, you’ve some all-rounders in the form of old favourites Lightning and Mater, and some sporty, performance models like the marvellously-named pink wonder that is Rich Mixon. There’s amusing dialogues aplenty as the racers engage in a bit of sledging, ranting at themselves or anyone who’ll listen, which helps set the tone for a mad but humorous atmosphere. Analyst Chick Hicks even chimes in with his post-race observations, allowing Cars 3 to channel a source of movie-esque personality that many similar games fail to. As if this wasn’t enough, it’s also extremely easy on the eye. If the cars look the part, the courses look even better. Locations vary greatly, from twisty woodlands lined with ice, to Floridian speedways, beaches, mines and canyons. The devil is in the detail as they say, and Cars 3 is chocked full of lovely little flourishes. Cars and caravans cheer from the sidelines, firework displays greeting your victories, and at one point, you’ll round a corner to see the sky lined with a parade of colourful hot-air balloons. 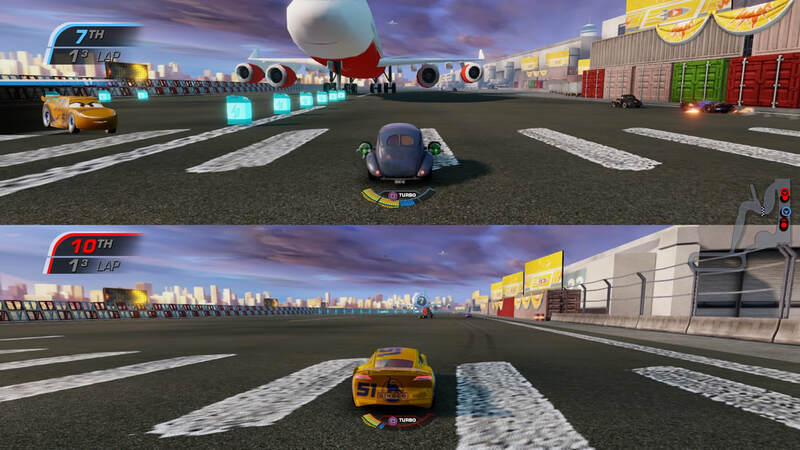 Elsewhere, there’s the need to navigate a race-within-a-race as the action passes through the middle of a miniature stock car battle, whilst in a nod to sister-series Planes, there’s a few occasions where bi-planes can be spotted passing overhead. Things are aided considerably by the inclusion of Cars 2’s tracks, already fantastic in their own right, jazzed up for this ‘next-gen’ instalment. This means you can relive the incredible airport scramble, dodging jumbo-jets as they come in to land, as well as experiencing the gorgeous Italian coastal run, which remains a joy. ndeed, the courses are, more or less without exception, top-notch. Smart, expansive design typically sees a bit of exploration paying off, as there’s a glut of shortcuts to be uncovered. Some are common-sense time savers, whilst others require an element of calculated risk, such as Midnight Run’s double-hop across water hazards. Destructible scenery is high on the agenda also, with a multitude of chairs, tables and huts waiting to be obliterated, often hiding their own alternative routes. The lack of online multiplayer is a slight blemish, albeit possibly justifiable in lieu of its younger target audience. 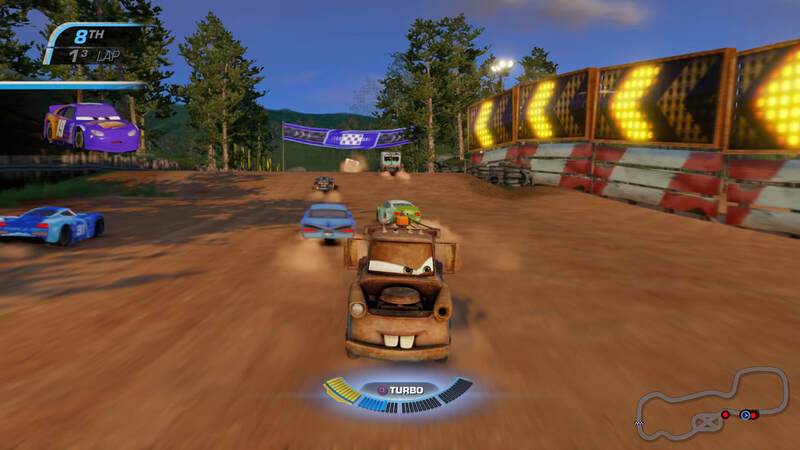 Making up for this however is Cars 3’s excellent local multiplayer, and the fact that every single event, including the sandbox-style Thomasville Playground, can be tackled with up to four players, is a massive boon. 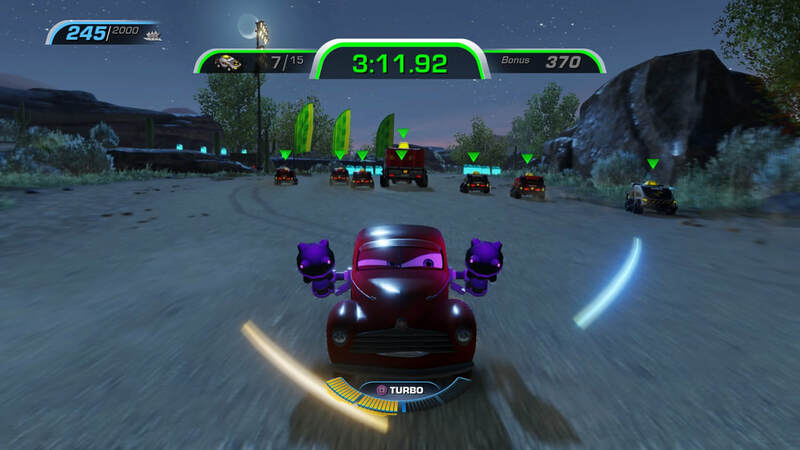 You can play through the entire game, including the multi-race series events, and the dozens of individual ones, in multiplayer with full fields of A.I. opponents. It runs supremely well, thanks in part to its more leisurely pace. To many, the multiplayer is the most significant aspect of a kart racer, and it’s something Cars 3 handles with aplomb. The only slip-up Avalanche have made here is in the scoring system, which awards five, three and one point to top-three finishers, and nothing to the seven remaining competitors, meaning it’s very hard to make an impact on a series for those who finish outside of the top two a couple of times. Along with some perfectly acceptable but largely uninspired weapon power-ups, it makes for a less compelling racing experience than Mario Kart 8, but offers greater variety. With more than twenty courses, a whopping sixteen race series and five competitive disciplines, Driven to Win lays to bed the issues of its predecessor. 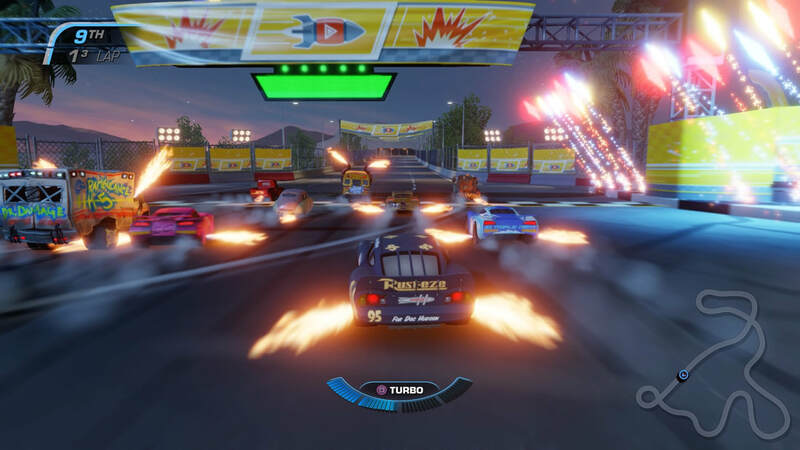 Whilst the series move to the PlayStation 4 can be eyed purely as an evolution, the advance in technology has allowed Avalanche to accentuate its positives – lovely graphics, silky handling, smart track design – and take an already-decent multiplayer to a level where its performance is difficult to fault, meaning for younger racing fans in particular, Driven to Win may prove an unlikely legacy title. "Cars 3 is a real hoot. It’s got bags of personality, from the slightly bonkers, catchphrase-filled character select screen to the wonderful range of vehicles on offer... for younger racing fans in particular, this could prove an unlikely legacy title."